When I first heard the song “More Than This” I was in a department store sometime in the late 1980s. I followed it to where it was emanating the strongest to hear it better. It was one of the most beautiful sounds I’d ever heard, and I couldn’t even make out the words. I asked the young man who was squatting to stock shelves what the song was. It might have been the most unusual question a customer had asked him but he stood and listened, probably thinking I was a little on the nutty side. He played along, however couldn’t identify the song. I then asked if he could make out any words. I had to know what the song was, so we both listened and both determined that all we could recognize was “more than this.” Good thing that’s the name of the song. Remember, we didn’t have internet back then, but somehow, I don’t recall how, I resolutely learned who the artist was and which album the song was on. 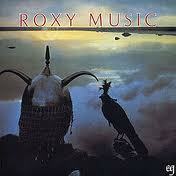 I knew only a little of Bryan Ferry and Roxy Music but I’d heard them on the radio and seen them on MTV. Now that I have the album, I still don’t know the words, and for the longest time I only knew the three words in the title. It’s still beautiful. It is just so pleasing to my ear with its haunting arrangement that any other versions don’t do it justice. While you can make out the words in the rendition by 10,000 Maniacs and in the good old karaoke try by Bill Murray’s character in the movie Lost in Translation, it really needs Bryan Ferry’s amazing voice, and no other. You know, you probably shouldn’t exercise after eating a whole 8oz bag of salted pistachio nuts, but I did. A fair workout with the help of Bette again.